and despite the difficulties of YouTube access in China I was fascinated to find a Rolf Harris lookalike with a very scientific but fascinating documentary on the beer brewing process from what looks like to be the mid 70’s. Anyway back to the beer itself Pecheresse is certainly a different style of beer and probably not typical of what’s expected from a Belgian brewer; having said that though it has a refreshingly different taste. TfT, great post. Makes me “home” sick for Beijing and the wonders of Jenny Wang’s. Never tried the Lindemans. Goodonya for trying something new. 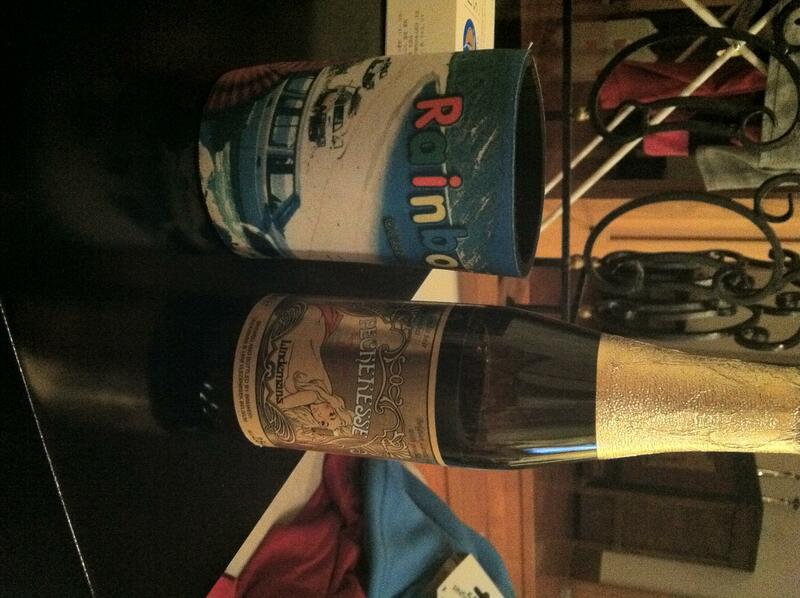 Loved the Rainbow Beach stubbie holder.